The Pathfinder Stocking foot wader has all the features you should expect in all High-end waterproof-breathable waders. From the DuPont Teflon DWR fabric protection to the ultra-fresh anti-microbial treatment. 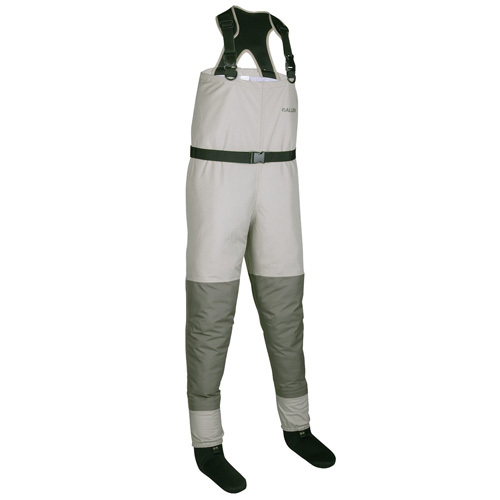 This wader has a flip-out gear caddy pocket, double-layer articulated knee, padded air mesh shoulder straps, built-in gravel guards, double taped booties, waist belt and D-rings for nets and other gear.